Karamba Security in Bloomfield Hills says it plans to demonstrate its automotive cybersecurity platform at the Consumer Electronics Show, Jan. 8-13, in Las Vegas. It also announced that retiring Ford mobility vice president and financial executive Neil M. Schloss has joined the company’s board of directors. Karamba, which also has a headquarters in Hod Hasharon, Israel, will demonstrate live car hacking, run education sessions focusing on automotive cybersecurity, and showcase the industry leaders that are partnering for cybersecurity. “The industry has been investing heavily in transforming to smart mobility and a self-driving future,” says Ami Dotan, CEO of Karamba Security. “However, this future relies on assuring consumer safety. 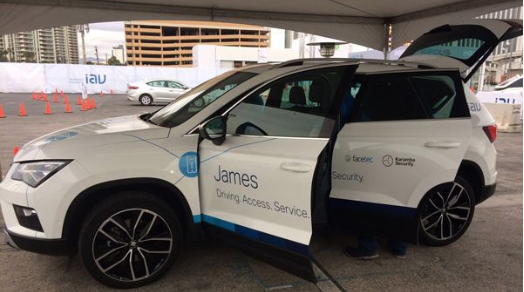 We will use CES 2019 as an opportunity to share our customers’ experiences in securing their next-generation vehicles, while maintaining safety and minimizing legal exposure. Karamba will be teaming with six of its technology partners: Micron, STMicroelectronics, Arm, Wind River, Ficosa, and Alpine. Each of these companies provides key elements to Karamba’s end-to-end vehicle cybersecurity solution. Schloss, who is retiring from Ford at the end of the year, joined the Karamba board on Dec. 2. He currently serves as vice president and CFO of Ford Mobility, managing the financial operations of Ford Smart Mobility and Autonomous Driving business units as well as the company’s IT and global data insight and analytics organizations. Next articleBlog: Calling All Frustrated Minority Shareholders: Are You Being Oppressed?